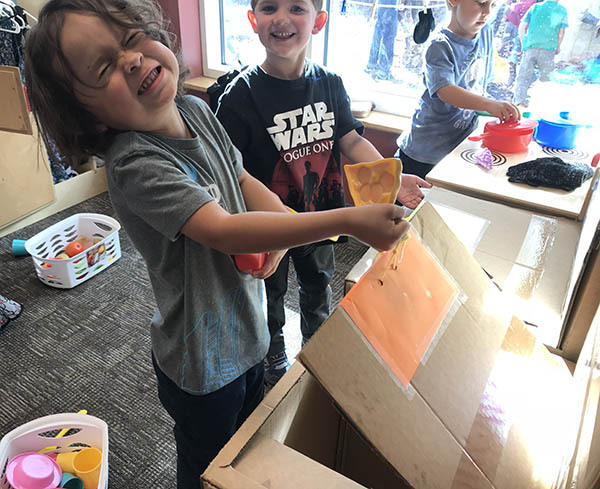 At the Golden Community Preschool, we strive to offer a creative place where children can learn through play. We feel that play is an important element that provides the foundation for children’s development of skills and concepts. 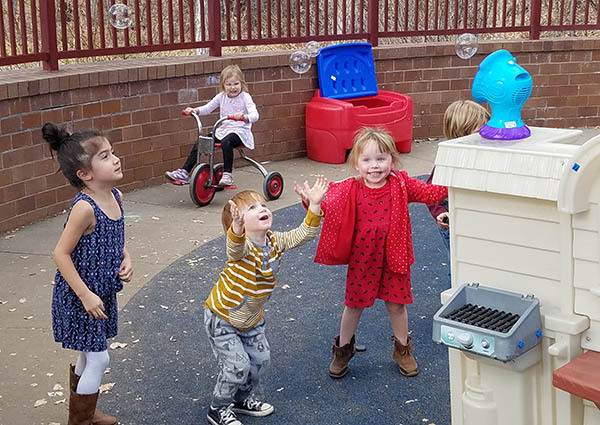 At the Golden Community Preschool, we continually stimulate children through an enriched environment with activities that promote experimentation at every developmental level. Our staff works collaboratively to provide a rich, safe, nurturing, and enjoyable learning place for our community and families. Half-day preschoolers must be 3 years old by Oct. 1, 2018 in order to register. Full-day preschoolers must be 4 years old by Oct. 1, 2018. Students must be potty-trained or the parent must remain in the building. Our program starts the day after Labor Day and ends the second Friday in May each year. If you are interested in availability for the current season, call (303) 384-8196. Call (303) 384-8196 or email Julie Adkins at jadkins@cityofgolden.net for more information. Please visit our Preschool Registration page on Webtrac. Current Students and Siblings – registration opens January 8 – January 31, 2018 (for siblings, call the director, Julie Adkins at 303-384-8196). New students Lottery– registration opens February 1 through March 11. The lottery will spin on March 12. We welcome all to our community! If you are interested in our program and in availability, please call Julie Adkins at 303-384-8196. $185/month Non-resident 8:30 a.m. – 12:30 p.m.
$260/month Non-resident 8:30 a.m. – 12:30 p.m.
$315/month Non-resident 8:30 a.m. – 3:30 p.m.
$455/month Non-resident 8:30 a.m. – 3:30 p.m.
Must be received in writing 30 days in advance to avoid additional monthly charges. Registration fee will be retained for any cancellations or withdrawals. Most Jeffco Public Schools holidays and breaks will be observed, including spring break and snow days.